Australia’s leading animal feed producer, Ridley, has signed a research development alliance agreement with Australia’s leading scientific research institute, the CSIRO for the prawn feed ingredient, Novacq. The company has also extended its Novacq licence agreement with the CSIRO. 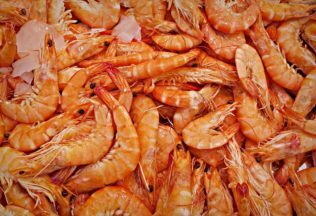 Novacq is a natural prawn feed ingredient additive that is derived from a marine microbial process, which has involved over 10 years of research and development by the CSIRO. The development of Novacq was part of a breakthrough by the CSIRO in creating sustainable land-based feed solutions that could replace unsustainable sources of sea-based feeds. Novacq is classified as a novel feed ingredient that acts as a metabolic stimulant when included in prawn feed diets. It increases the prawn’s food intake and leads to the animal growing faster but eating less feed. Novacq can be used to help replace scarce fishery resources such as fish meal. Under the new licence agreement, Ridley can now produce and market Novacq globally, where as previously it only held the rights for Australia, Thailand, Indonesia, Malaysia and the Philippines. Dr Mat Cook, CSIRO Aquaculture Research Director, said the new agreements are an example of the CSIRO’s commitment to innovation. “We are excited to be partnering with a like-minded local organisation in Ridley to take Australian science to the world,” Dr Cook said. Ridley Chief Executive Officer, Tim Hart, said Ridley has been working closely with the CSIRO to secure the unlicensed prawn territories for Novacq. “A key factor in committing to Ridley has been the extent of our investment and progress at both Yamba in New South Wales, and Chanthaburi in Thailand,” hart said.